What adventure you like most for you as well as your family and friends. Technology has handover us diverse means to explore and enjoy the gifts of nature. 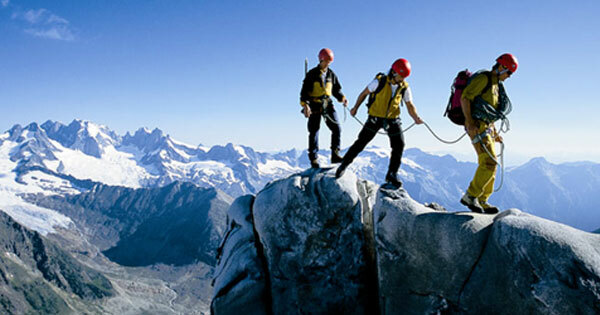 If you like adventure activities, India is a perfect destination for you. India offers outstanding prospects for escapade tourism. India has become pretty famous as an adventure travel destination across the globe. The mountains of the northern region of India and the beaches of long coastal line of south India contain scores of places and provide opportunity to indulge in a number of adventure activities. Manali is a beautiful hill station of Himachal Pradesh popular for varied adventurous activities including paragliding, mountaineering, fishing, white water rafting, skiing, hiking and many more. Leh is also a favorite place for hikers and para- gliders. Goa beaches are haven for people love kite surfing, waterskiing, windsurfing, parasailing, jet skiing, wake boarding, banana rides, and catamaran sailing. Plan your adventure tour with us to make your vacation most memorable.